attention America. 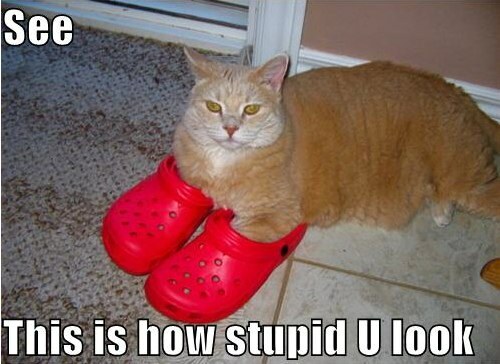 please quit wearing Crocs. they are f*cking ugly and f*cking stupid. I’m glad I am not alone in this. I think a serial killer would have to be crawling out from under my bed with a 30 cm blade almost as thin as the smile on his face for me to care less about what people wear on their feet. Just be careful on escalators!